A man has been charged with ten different offences after a stop and search in Bognor Regis, police have said. The alleged crimes took place in Chichester and Bognor Regis areas. A police spokesman said: "Officers followed a car into Sylvan Road, Bognor Regis, on Monday 3 September following information that the vehicle was stolen. "A man who had parked the car and walked off was stopped by officers and arrested on suspicion of a theft of a car. "A search of the vehicle was conducted and officers found items that had been reported from a number of properties." Police have said 40-year-old Barry Shaw, of no fixed address, was charged with taking a motor vehicle without the owner's consent, robbery, burglary dwelling with intent to steal, three counts of dwelling and theft and four counts of fraud between August 28 and September 3. 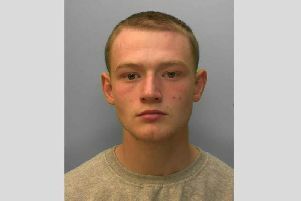 He is due to appear at Portsmouth Crown Court on October 3. Another 43-year-old man of no fixed address was arrested on suspicion of theft of a motor vehicle and burglary dwelling with intent to steal and released on bail until October 1.